Big Oil could use some venture capital mojo. As energy executives prepare for the annual CERAweek shindig that opens in Houston on Monday, it is clear the industry’s corporate titans have largely missed out on the most lucrative stage of America’s shale oil boom. Exxon Mobil and its ilk were too focused on mega-projects and played catch up with expensive M&A. Seeding a new generation of nimbler upstarts, a strategy that worked in the drugs industry, might renew verve and boost output. An inability to think small has been a problem for the world’s top oil firms. In an effort to boost production they have focused on large-scale projects using space-age technology to drill deep in the ocean or in remote areas. This has caused capital spending to explode and multi-year wait times have been testing the patience of investors. Meanwhile the most dramatic surge in oil production has come from America’s relatively tiny shale oil wells – ventures that require far less up-front investment. This has badly wrong-footed the giants. While U.S. crude production has climbed by 40 percent since 2010, Exxon’s output is down 2 percent. And that is despite agreeing to pay $31 billion for shale driller XTO Energy in December 2009. The fact that rival explorer EOG Resources has managed to more than triple its U.S. oil output over the same period, to 228,000 barrels a day, suggests Exxon may have crushed XTO’s entrepreneurial spirit. One solution is to look to Big Pharma for inspiration. By taking a minority stake in biotech firm Regeneron, French drug make Sanofi avoided the risk of stifling the firm’s creativity and ended up with a strong pipeline of promising drugs – not to mention a 12-fold rise in the value of its equity stake. Roche’s minority interest in Genentech ended up delivering its top three drugs in the period after the 1990 purchase. A similar approach might still work for the energy bigwigs. Had Exxon taken only a minority stake in XTO, it might have kept pace with independent rivals. Alternatively, Exxon could have doubled its money by buying a minority stake in EOG in late 2009 – while reaping a respectable rise in output. Of course, a VC mindset of taking stakes in small firms and letting them run would require a big cultural shift for companies like Exxon that prize control. And picking winners isn’t easy. But for Big Oil to regain momentum, it needs to start thinking differently. Is Exxon building Big Oil's skyscraper equivalent? IHS Energy’s CERAweek 2014, a global energy conference, begins in Houston on March 3. Crude oil production in the United States has climbed by 40 percent over the past three years, according to data from the Energy Information Administration. U.S. oil production at Exxon Mobil over the same period has fallen 2 percent. Total capital spending has increased from $32 billion in 2010 to $42.5 billion in 2013, a 32 percent rise. 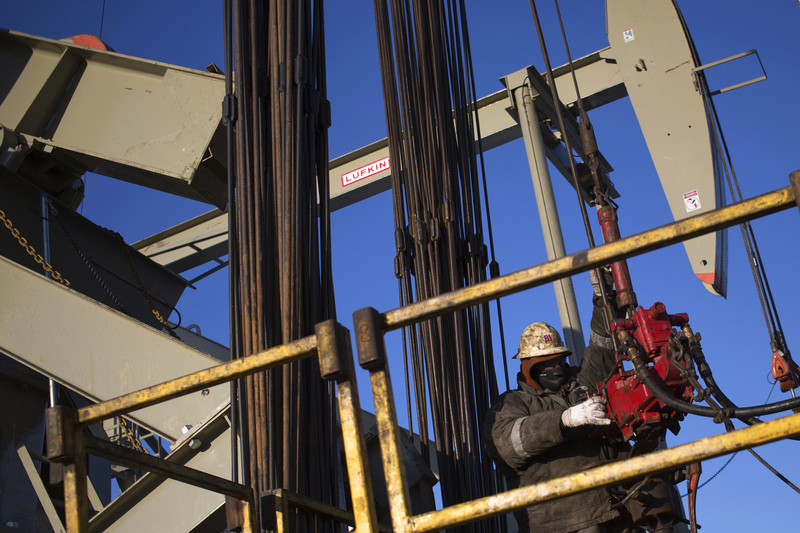 U.S. oil output at Chevron has fallen 8.5 percent since the end of 2010. Capital spending at Chevron increased by 92 percent to $41.9 billion in the same period.